DO YOU KNOW WHAT FRIDAY IS?! Well, thanks to Sylvan Dell Publishing I do - because they sent me a little e-mail to tell me that this Friday is Space Day! Now, you guys didn't know about World Penguin Day until it was too late so I thought I'd tell you that Friday is Space Day. Want to do something fun with your kids? You have two days to plan for it! We're going to have a Space Day around these parts and my brain is whirling thinking about how we shall go about celebrating it. We haven't launched into discussions about the sky because we've been too busy swimming in the depths of the ocean. But maybe - just maybe - I can convince Bookworm1 to lay down the octopus for a day and explore the wonders of space. Huh? Ya think, maybe? Play! Have fun! Pull out your tricorders and explore world's unknown! Come on! You know you wanna! ;) ha! With a nod to Sylvan Dell Publishing (since they let me in on this "secret" to begin with) - here are some of their books to consider running and snatching up at your library for your own special Space Day. Both of the above books are put out by Sylvan Dell. 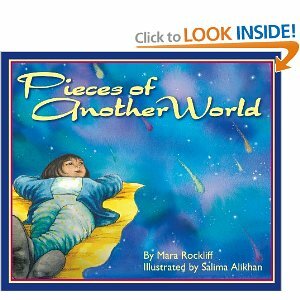 In Pieces of Another World a father wakes his daughter up and takes her on a late night outing to watch a meteor shower. This is a sweet story about a father who spent some quality time with his daughter while enjoying the beauty of the world around them. 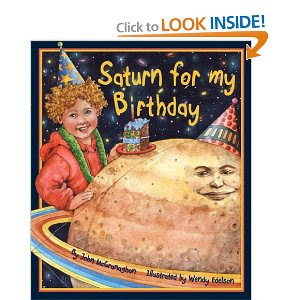 In Saturn for My Birthday, a little boy wishes to be gifted with the planet Saturn on his special day. He has all kinds of plans for what he will do with this planet. (My only objection, as a Creationist, is that it gave a one sentence mention that Saturn was billions of years old.) Otherwise, it's a cute, fun book with some game and activity ideas as well. 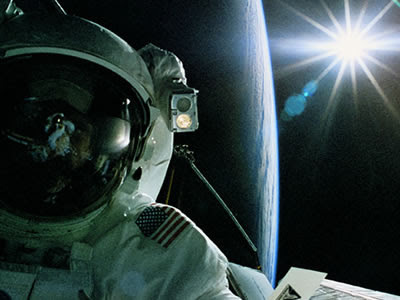 Click here to learn more about Space Day. * I dare someone (even myself!) to make a rocket cake! HAVE FUN! See you around on Friday. This home school mom says "Thanks". We haven't done this in our house before, so this will be new. We do, however, enjoy space and your book recommendations will be great on our trip to the library tomorrow.